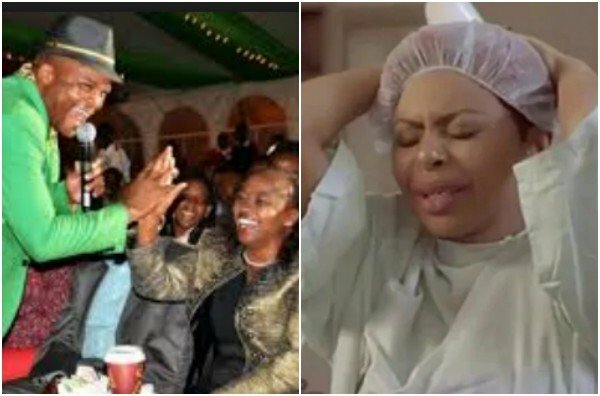 Jalango was recently a trending topic after coming out and shooting gospel artists in the foot over their music. The comedian and radio presenter stated that gospel music has zero content and artists should change. “Mateke” singer Size 8 on the other hand came out to defend her people saying that gospel singers are doing just fine since saved people can relate to their content. “Jalang’o should not judge people with a few songs because ours is the biggest music industry, and I believe every song has a message. Everyone sings differently, thus it would be wrong to judge them with their content. 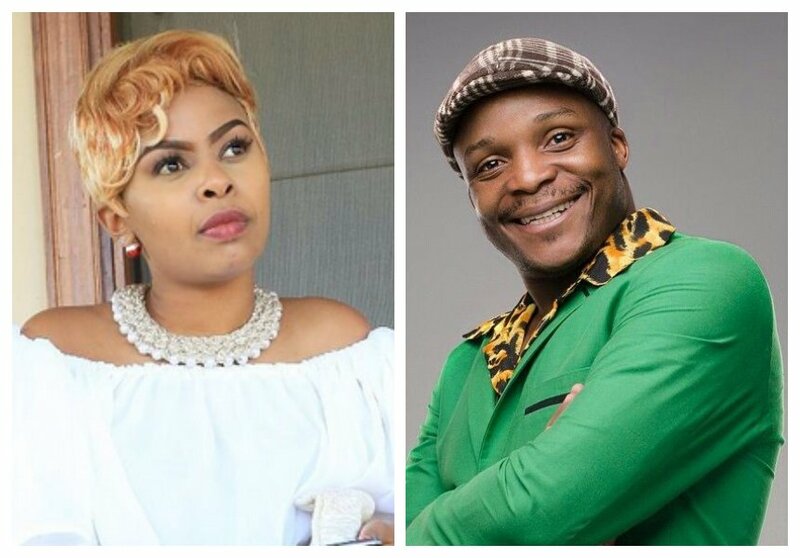 Well, a poll done by a popular website now reveals that Kenyans are not siding with Size 8. 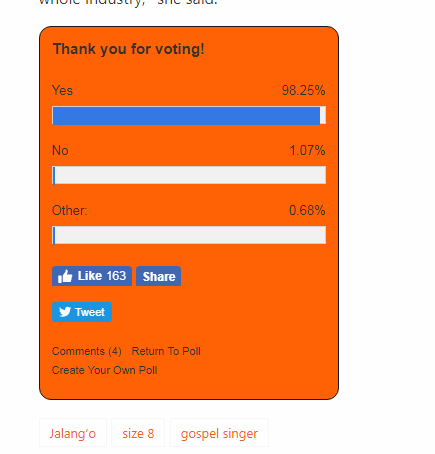 Almost all of those who voted agreed with Jalas that Kenyans should change their gospel songs.